Over the first few months of 2019 Ogis has built numerous public art and sculpture projects. The Tree of Life sculpture (see images below), an 8 metre tall, 1.5-tonne in-house designed sculpture. In addition to this, we have helped create public art pieces for local galleries and new developments around Australia. Tree of Life Sculpture in its final position. Design briefs for public art are often broad, however, our design team created three requirements for the design: a trellis structure that is sculpturally stunning and safe in a school context. 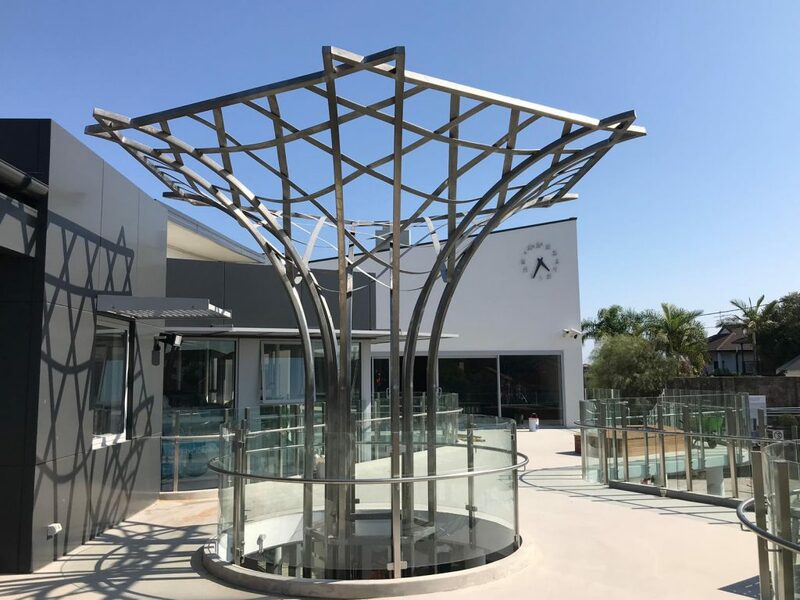 The design team took these requirements even further by creating a woven concept where semi-flexible straps of stainless steel flat bar are interwoven to create a trellis structure for vines to grow onto. 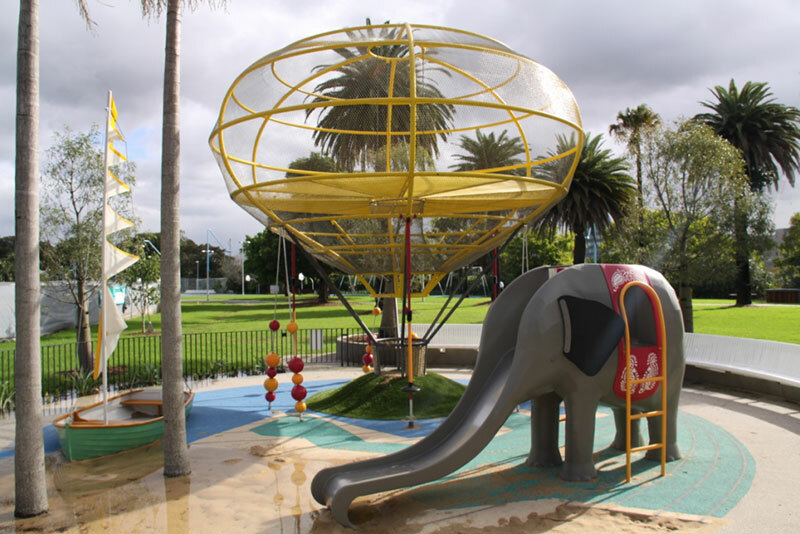 Aluminium elephant and hot-air balloon play sculpture for Redfern park. The Tree of Life is a combination of rolled stainless steel square tube and interwoven stainless steel flat bar. Constructed in two halves, the final sculpture was transported to sit and welded together symmetrically. The school committee was thrilled with the final result and have planted vines to grow up the trunk and to eventually provide shade for the school children. Our team will gladly manage entire projects from design to installation. Our extensive experience in the industry has resulted in thousands of delighted customers and manufacturing partners. The Ogis hands-on approach affords us complete control over quality, timing and finishing requirement. See more Architectural and Design projects.